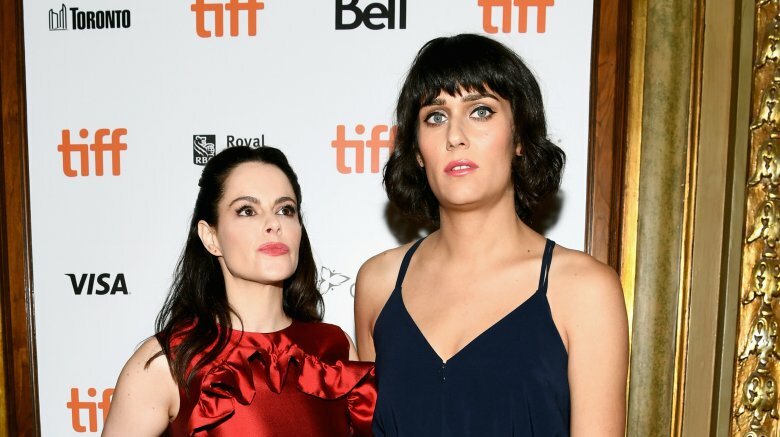 Singer-songwriter Teddy Geiger and actress Emily Hampshire are dating! On Aug. 30, 2018, Hampshire, who many may recognize from her role as Stevie Budd on the comedy Schitt's Creek, confirmed her relationship with Geiger with a post on Instagram. Sharing a sweet photo of herself with Geiger, she wrote in the caption, "Just me & my girlfriend." Since then, Hampshire has uploaded several other pictures of Geiger on social media, and, in one post, she called the "For You I Will (Confidence)" artist a "sweet little minx." For her part, Geiger commented on her romance with Hampshire on the same day that the actress confirmed that they were an item. Geiger posted a photo of Hampshire in a field, writing her own version of the "Sound of Music" lyrics in the caption. "I am so happy this woman is alive… with the sound of music / She is a song I will sing for a thousand years," Geiger penned. "She fills my heart with the sound of music / My heart wants to sing every song it hears." On Sept. 4, Geiger shared another picture of Hampshire — this time, one Hampshire took of herself — and showed the world just how deeply she's fallen for her girlfriend. "I love her so much and miss her so much," Geiger captioned the post, "and I need to kiss her and I want to go dancing because she is so cute when she dances and she is my dream and and and goodnight." As Nicki Swift previously reported, Geiger made her first public appearance since announcing her plans to transition at the BMI Pop Awards in May 2018. A successful songwriter, Geiger, who once toured with Hilary Duff, has penned hits for artists like Shawn Mendes, including the popular songs "Mercy" and "There's Nothing Holdin' Me Back" (via Paper). 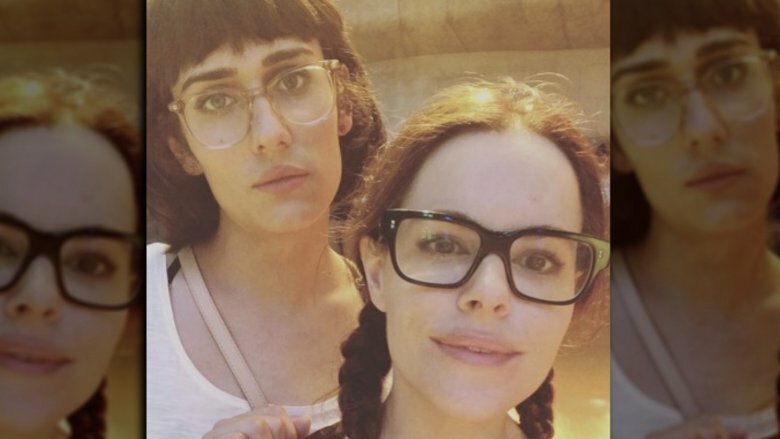 Geiger's romance with Hampshire marks her first relationship — that we know of, at least — since her transition, though it's not her first celebrity dating experience. Geiger previously dated La La Land actress Emma Stone, whom she'd appeared alongside in both the VH1 reality TV competition series In Search of the Partridge Family in the early 2000s and the 2008 comedy The Rocker (via PopSugar).